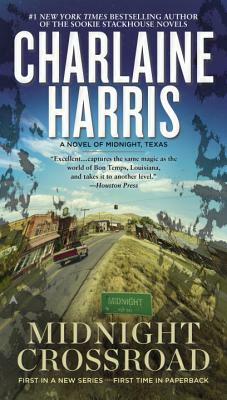 Take a trip to the small Texas town where only outsiders fit in with the first novel in #1 New York Times bestselling author Charlaine Harris’ paranormal mystery series. Welcome to Midnight, Texas, a town with many boarded-up windows and few full-time inhabitants, located at the crossing of Witch Light Road and the Davy highway. It’s a pretty standard dried-up western town. Charlaine Harris is the #1 New York Times bestselling author of the Sookie Stackhouse and Midnight, Texas, fantasy/mystery series and the Aurora Teagarden, Harper Connelly, and Lily Bard mystery series. Her books have inspired HBO’s True Blood, NBC’s Midnight, Texas, and the Aurora Teagarden movies for Hallmark Movies & Mysteries. She has lived in the South her entire life.